Receive all samples and tracings for requisition, costing from concern department and distribute with proper management. Receive and distribute internal credit memo for samples. 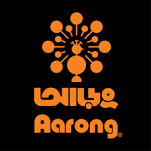 If you feel you are the right match for above mentioned position, please send your CV to Human Resource Department, Aarong, Aarong Centre, 346, Tejgaon (I/A), Dhaka-1208 or apply electronically to career.aarong@brac.net writing 'Application for Assistant Merchandiser' at the subject line. Envelope should be marked at the top for the position applied.